Nonchalant packaging for sneaky security in a home. 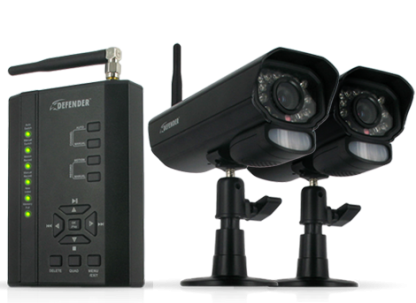 Automatically triggers law enforcement when motion sensors go off. 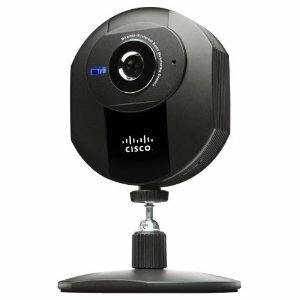 Can be used with the home hard line or cellular line to call the police for assistance when motion sensors are triggered. Works alongside other SimpliSafe devices. Can trigger police phone call when changing batteries, or trigger randomly. Has triggered false alarms for families and homeowners. Can be overly sensitive in certain areas of the home, yet not pick up on other movements in others. 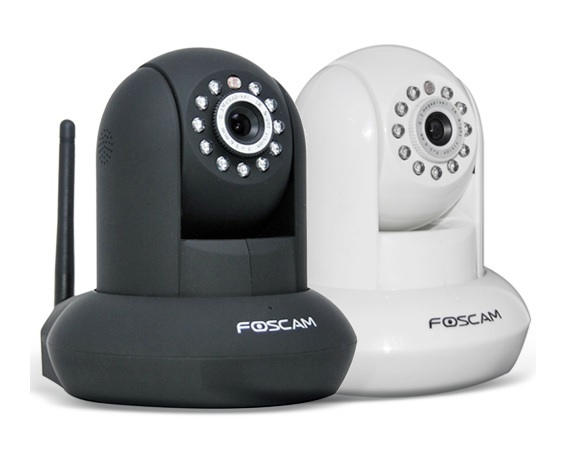 This is the summary of consumer reviews for SimpliSafe Wireless Home Security System. The BoolPool rating for this product is Good, with 3.50 stars, and the price range is $175.00-$268.00. 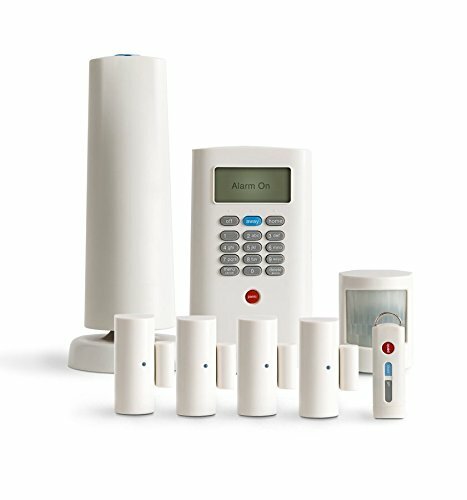 The SimpliSafe Wireless Home Security system comes in eight pieces, including a home base, keypad, entry sensor, motion sensors, and more for a completely “do it yourself” security system at home, rather than paying hundreds or thousands more for other products or installation fees. 24/7 customer service also allows customers any assistance, from installation to product troubleshooting, at a simple phone call to get the issue resolved promptly. 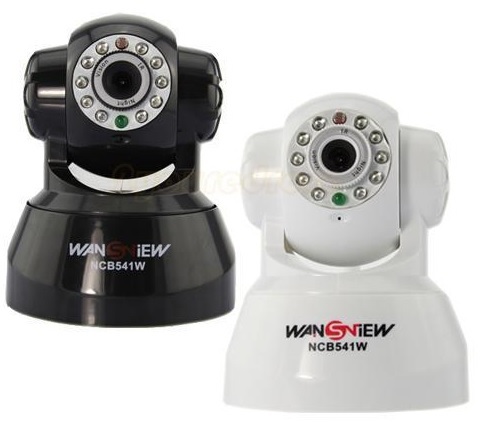 Each of the security devices is white, small, and are not obvious to the eye, making it a good way of protecting a home. 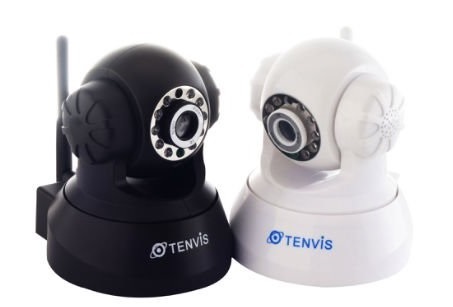 Customers can opt to connect their home phone with the product to automatically call police when the alarm is triggered, or it can be connected via cellular data to call for help. Customers say the motion sensors do not always work the way they should, and even can falsely trigger authorities when unnecessary. Others say they struggled to secure their homes properly with the 8-piece set and needed additional motion devices to ensure full protection. Finally, batteries within each of the sensors and devices die frequently since they run around-the-clock, and can get costly. Overall, this product seems to do the trick for those looking for a cheap and effective way to secure a smaller home, but may not work well for larger properties. We mainly got this because it's connected to our local police and can arm/disarm via phone. The 'fake' password key would silently alert the local police. I'd to return this because the local police department said they wouldn't respond to this. If you don't have the service for ringing the police station I'd recommend an outside horn and a camera in doors. But when you've police with there guns out running around your office because the keypad didn't take the key entry, you start to wonder why they did make it so you couldn't hardwire it to power. The person would have to be on the premises and call the police in order for them to respond. 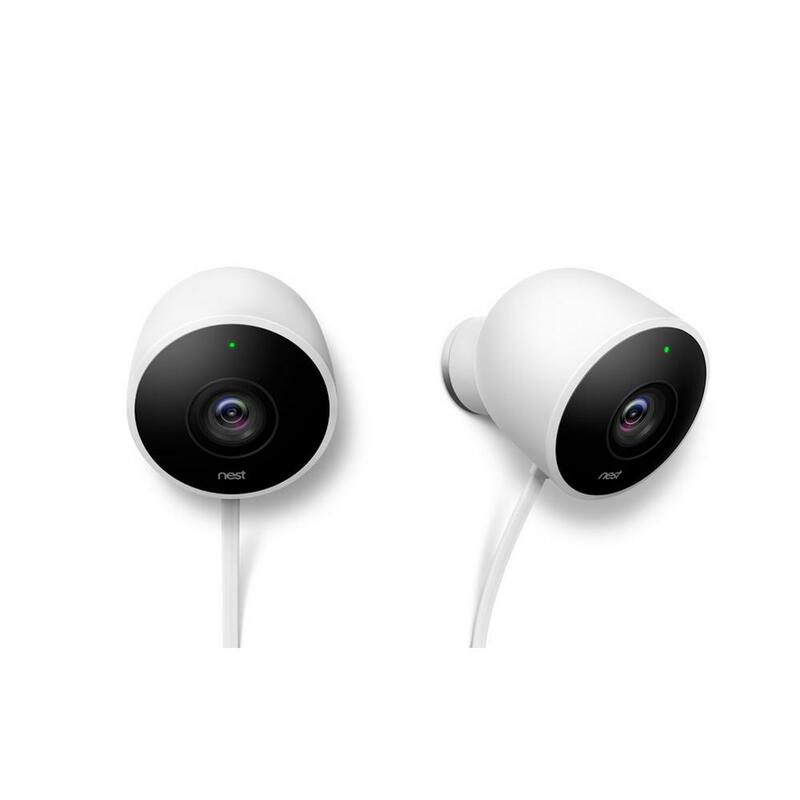 You can also purchase other products such as a camera (I believe it's still in beta) and a glass breaking sensor. The system was easy to install. The install is also easy. SUPER easy to install both technically and physically. The installation and setup process was very easy. Not an easy job, but well done. The company itself has been outstanding they've helped me with a couple of issues. I'd the common issue of not getting a good T-Mobile link after installation. They need to do things at their end to delete this install, and complete a new install with the Verizon module (because the cell mod they use has no signal here.). From out of the box to installed in under 5 minutes. If you're being led to believe its a simple install, don't. We have the monitoring as well, customer service in all departments I've dealt with are wonderful, quick & informed. I still rate 5+ stars and great customer service!!. Very disappointing customer service despite many positive reviews. SimpliSafe monitoring service allowed a change to only notify me and not emergency services (so I could avoid fines for false alarms). Have excellent wifi, no text or email with OUT monitoring service. We've the monitoring as well, customer service in all departments I've dealt with are wonderful, quick & informed. Attempted to initiate services but after the system base failed to function properly and multiple to remedy with Simplisafe went unanswered, boxed up for return. Need cell phone service to use. I keep getting the 'not connected to dispatch' message and there's no customer service after 6pm. Thus, the security package monitoring service is useless and the hardware can false alert. Product seemed somewhat dated, install was easy. The alarm can be triggered by anything. 2. Alarm doesn't go off when we open a door with alarm set to home. Two alarms goes off after the initial 3 days test/practice period, No call from customer service. Worst and fake security system: the alarm was triggered when we changed the battery. And The alarm can be triggered by anything. Our alarm doesn't work properly. 3. What if it's a real alarm? 5. Sometimes we enter the code 5-6 times before it'll turn off the alarm. Conclusion: 1. Be careful when doing anything to the system because when the alarm is triggered, you'll be charged. I like the Simpisafe Alarm with these exceptions. Paid for premium monitoring and they didn't respond to the Any of the alarm trips. The system covers most people's needs and works as advertised. The system works after you do some troubleshooting. I've been working to get this SimpliSafe system installed for 3 days now, everything was easy enough to install. Even after I was sent a new tower, this system wouldn't work properly. I like the security system, I called Simpl Safe customer service to get some help on the dispatch link that wasn't working properly they act like they didn't wan't to help me she put me on hold for about 15 minutes and then she pick the phone back up and said she was working on the problem. New to apartment living.... this works just fine. Overall I'm very happy with the system and can say that after six months of use it works as advertised. Wouldn't recommend this system at all. BUT I'm modifying this review because THEY'd to cancel the "monitored service" because the Verizon signal just wouldn't work and now the camera won't work. All sensors work as advertised and is easy to set up. Unlike the wired big alarm company alarm systems, Simplisafe sensors are "one size fits all" but what's good for a door isn't good enough for windows. Simplisafe entry sensors work only when a door or window is properly opened. I bought this system and several additional entry sensors. Therefore, you could put the base unit in a room where every point of entry is armed with either an entry sensor or motion sensor set to instant trigger (note that this only would work if the intruder didn't first trip a sensor with an entry delay, because once a sensor with an entry delay is tripped, the instant trigger on any other sensor is disabled). I arm the system in Home mode at night because I've young kids who otherwise would trip the motion sensors if they woke up before me. Therefore, while I'm sleeping, my alarm only will trigger if a burglar opens a door or window that's an entry sensor. All alarm systems work pretty much same way. The system says 1 sensor is open at all times even when they aren't so if I ever tried to actually turn the alarm off it'd go off even when no one is breaking in. The motion sensor also doesn't work well. Door sensor opens don't always register. When you enter your home through a door with an entry sensor, the system gives you a certain amount of time (the entry delay) to enter your code to disarm the system before an alarm signal is sent to the monitoring service. Neither sensor seems to work. The installation of the system was quick and easy. 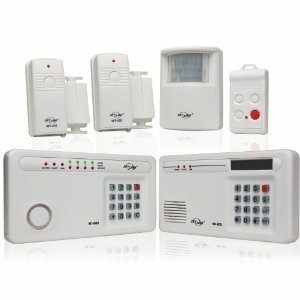 Amazon took the alarm system back but kept 20% $100.00 for an alarm system that never worked. My system (I paid for monitoring and interactive control) won't connect to the cell system. ADT charged me $42 a month for monitoring my system. Activation of the system was really easy too. 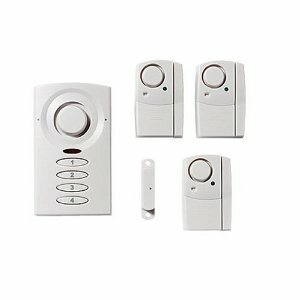 Simplisafe system purchased by a first time home owner who's never owned a security system. The SimpliSafe Security system worked in my home for 5 months and then I'd continuous problems with reception. This system does everything the expensive systems do but for much cheaper. Unless you work for a battery company, this system will break you. The base unit couldn't hook up to their cell system. Now that I've had my system up and running for several weeks, including contacting customer service three times and the monitoring company once plus expanding my system from five to 17 sensors, I'm totally satisfied with my overall experience. System works as describe, setup was very easy. The SimpliSafe system base station that most customers get communicates back to their server through the T-Mobile cellular network. I'd to have customer service push an upgrade to my system. Customer service is absolutely pathetic! Simplsafe has tbe worst customer service. Technical customer service can't be reached. The service wait times for help: 30 to 50 minutes queue currently. I've constantly been either on the phone or emailing with customer service ever since installing the unit. I'd honestly rather spend 3x as much money and have an alarm that's easy to install, actually works, and has competent, honest customer service.